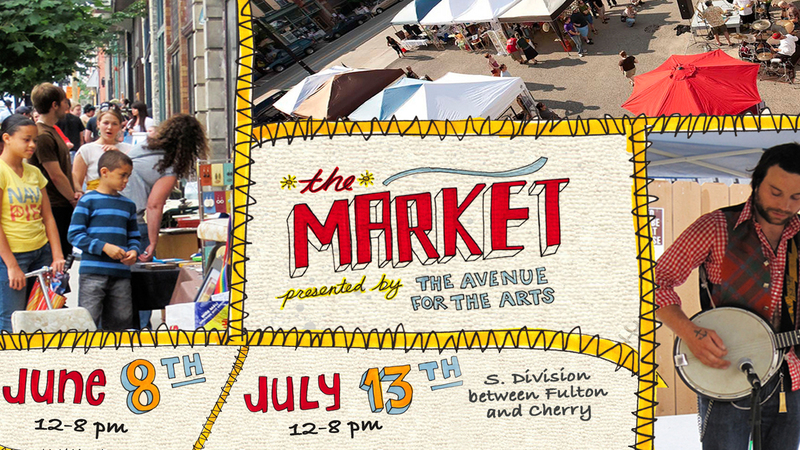 OPTION 1- As an Avenue for the Arts member, your fee to participate in the Market is waived. Login through your membership account, and go to the”Event” tab on the top of the page to register for one or both of the Markets. OPTION 2- If you would like to become an Avenue for the Arts member FOLLOW THIS LINK. Once your membership has been set-up (allow 24 hours) you will be able to register for one or both of the Markets. OPTION 3- Register for the Market, and you will automatically be enrolled in the membership program. If you need any assistance registering or have any questions about the Market or Avenue for the Arts Membership, please join Taylor and Jess at the Lantern coffee bar for a drop-in on Tuesday the 14th between the hours of 12pm-2pm or 6pm-8pm or Saturday the 18th from 10am-noon. Join them on FACEBOOK and check out their WEBSITE to learn more about the market. This entry was posted in Avenue for the Arts, News. Bookmark the permalink.